I bet a lot of our new generation peeps either don’t know much about Nigerian history or couldnt be bothered. I think it is very essential to understand where you are coming from, as a guide to where you are going. I get very excited when I see a piece of history being shared and the case wasnt different. 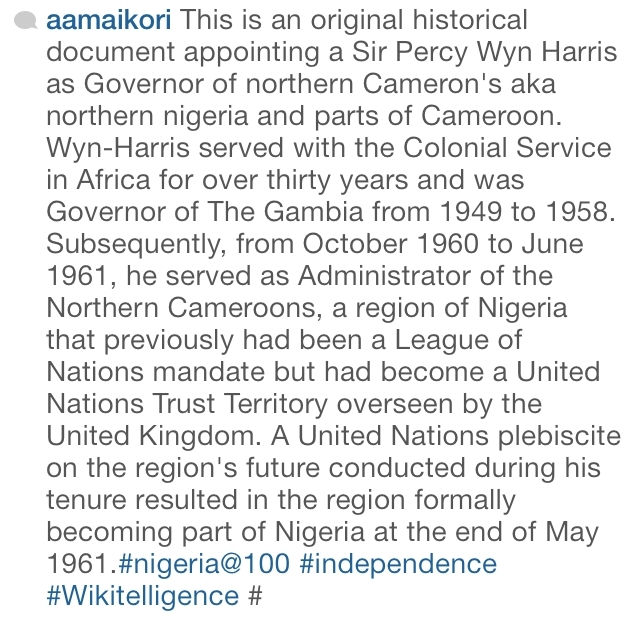 I know there are some people out there who don’t know that parts of Cameroon was an administrative part of Nigeria. 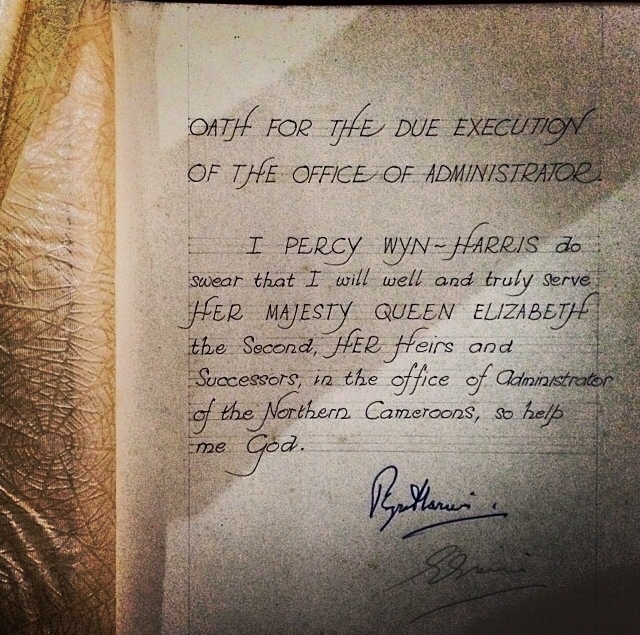 Though most of Cameroom was colonized by the french bits of it was colonized by the British who also colonized Nigeria. Anyhoo, check out the picture and explanation below. Thanks to Audu Maikori for sharing on his instagram page. I learned something as well.